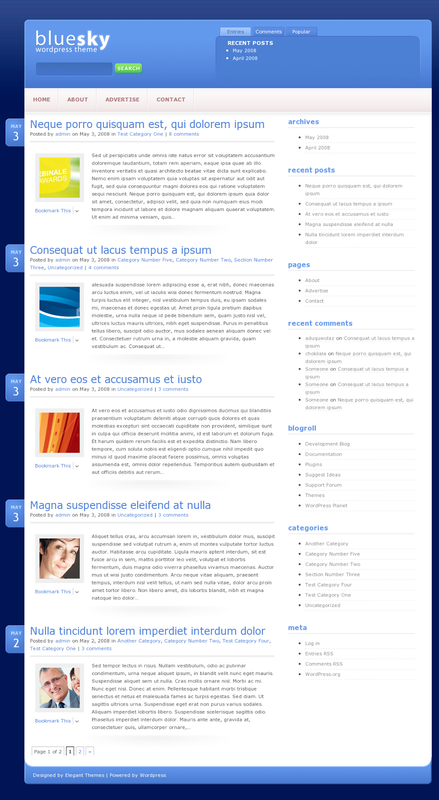 Bluesky is a great wordpress theme for those looking for a smooth and elegant design for their blog. This template takes advantage of custom fields to allow for integrated thumbnail images, as well as various plugins to help take your site to the next level. This theme comes advertisement ready, featuring an unobtrusive integration of google adsense. Refer to the list below for the full range of features.